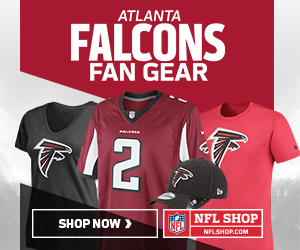 Rise Up Reader - Your source for Atlanta Falcons news, analysis, podcasts, and highlights! It’s mock draft season, Dirty Bird Flock! I don’t know if you are like me but every new name that Atlanta becomes linked to makes me giddy about the potential of the Falcons roster. The draft is where our Falcons thrive, not in the choppy waters of free agency. Every free agency period just feels like the months and holidays leading up to Christmas Day —not very interesting and leaving us wanting more. So let’s get to the goods! Here is who I think are the best fits for the Falcons in the 2019 NFL Draft. This entry was posted in Atlanta Falcons and tagged 2019, Falcons, mock draft on April 15, 2019 by Josh Lederle. The Falcons aren’t in the Super Bowl this year, but the Super Bowl is in Atlanta! The best online sportsbooks had Tom Terrific and the New England Patriots opening at -1, but they are now listed as 2.5-point favorites over the Double-G (Goff & Gurley) and the Los Angeles Rams. Is this a fair number? Let’s break it down. This entry was posted in Atlanta Falcons on January 23, 2019 by Michael.